George Draper "2012 Local Hero"
Believe it or not, George’s Surf Shop – the longtime HB fixture – wasn’t named after George Draper. He actually bought it from George Panton back in 1967 for a mere $1,000. But before he got there, he traversed a memorable path that landed him on Huntington’s Main Street. George was born in Kansas and moved to Carlsbad, California in 1952. Being the new kid in school, he soon became friends with Murph the Surf, Phil Edwards and LJ Richards. He learned to surf at Terra Mar with a board that Phil Edwards made and eventually became the very first State lifeguard at Tamarack in Carlsbad. 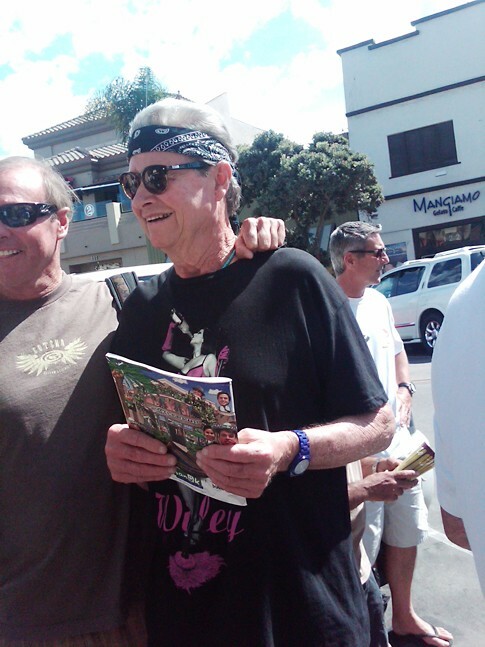 From there, George taught Don Hansen of the famous Hansen Surfboards how to surf and even was a delivery driver for Clark Foam back in the 1960s. 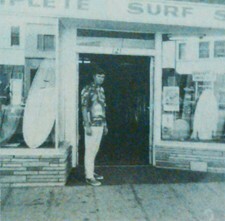 But once he lost his driver’s license, George was forced to seek other forms employment, so he acquired the surf shop in Huntington Beach on September 7, 1967. George’s Surf Shop had all the big name boards and top shapers of the era popping in, from Brewer to Aipa. But, like HB today, he wasn’t alone. 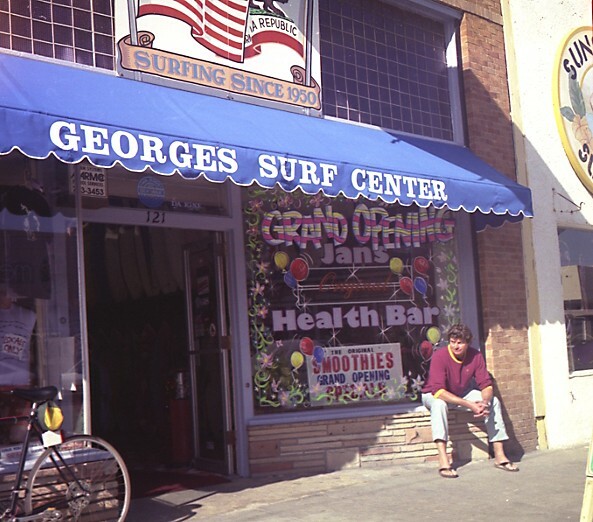 George’s Surf Shop was even the birthplace of the famous Jan’s Health Bar and served as a meeting place in Huntington Beach for 27 years. 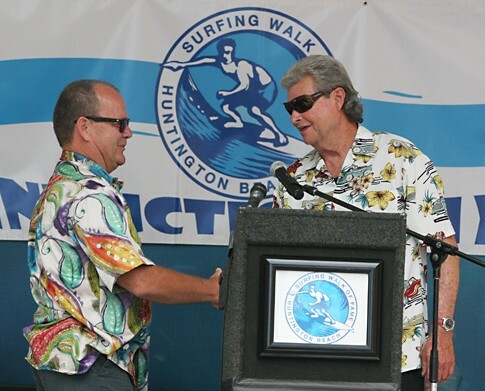 Over the years, HB has changed, but at the root it’s still Surf City USA. Largely thanks to people like George Draper. 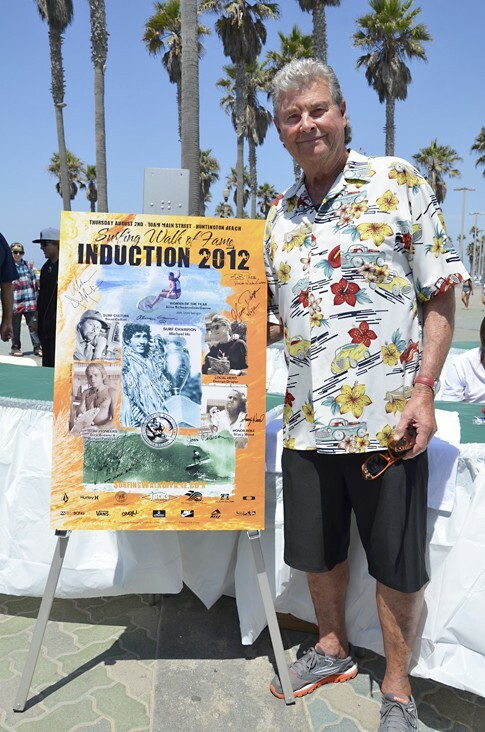 George Draper, founder of the famous George’s Surf Shop in HB is recognized as the Local Hero. 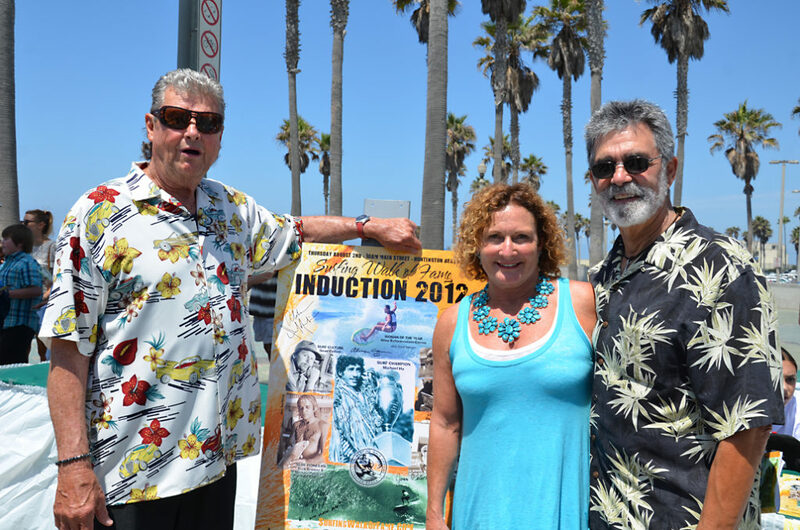 PHOTO: 3 SWoF Inductees George Draper, Jericho Poppler and Bob "The Greek" Bolen. Photo courtesy of Lew Harrison.